Moloka'i Ranch owns one-third of the land on the island. The The Ranch wants to revive an old request it made to the state water commission to use water in the Ground Water Management Area. 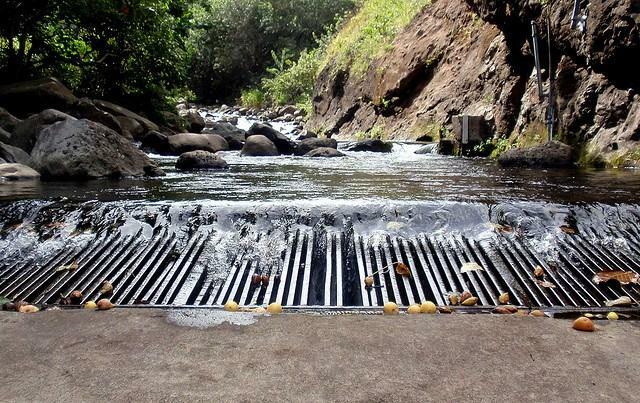 A 25-year battle for water on Molokaʻi continues today before the Hawaiʻi Supreme Court. HPR’s Kuʻuwehi Hiraishi reports. 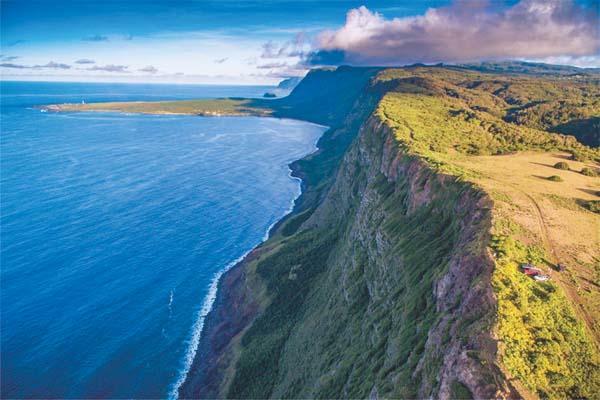 Opening arguments are being heard today in a case that pits one of Moloka’i’s largest land owners against public trust advocates over the right to water on the island. “On Molokaʻi, we dealt with water issues a lot,” says Molokaʻi resident and Hawaiian homesteader Glenn Teves. He says water can be an emotional issue on the island. Freshwater flows through a taro patch. Taro farming is a traditional and cultural right, and water allocations for taro farming is protected by the state as a public trust purpose. 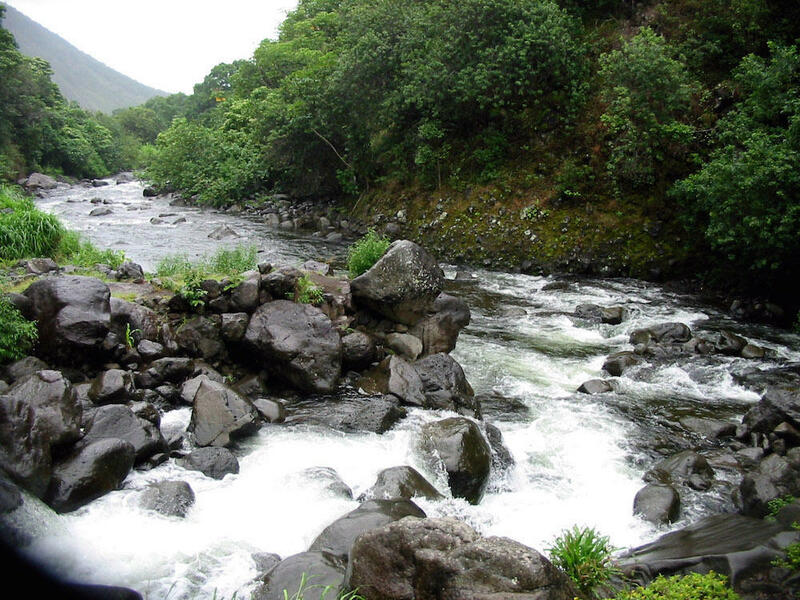 “In so many ways, fresh water will be the key to Molokaʻiʻs future,” says Kapua Sproat, an associate law professor and director of Ka Huli Ao Center for Excellence in Native Hawaiian Law at Richardson Law School. “Whether the law, especially our public trust law, will come to life in our community or will be relegated to book shelves in the law library,” says Sproat. 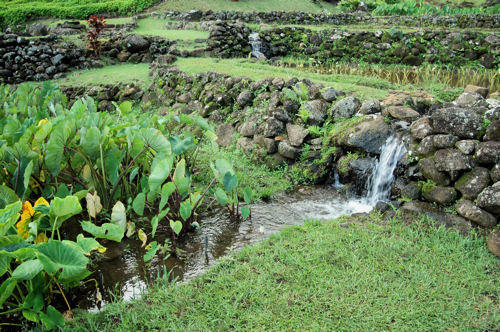 In Hawaiʻi, water is held in public trust. 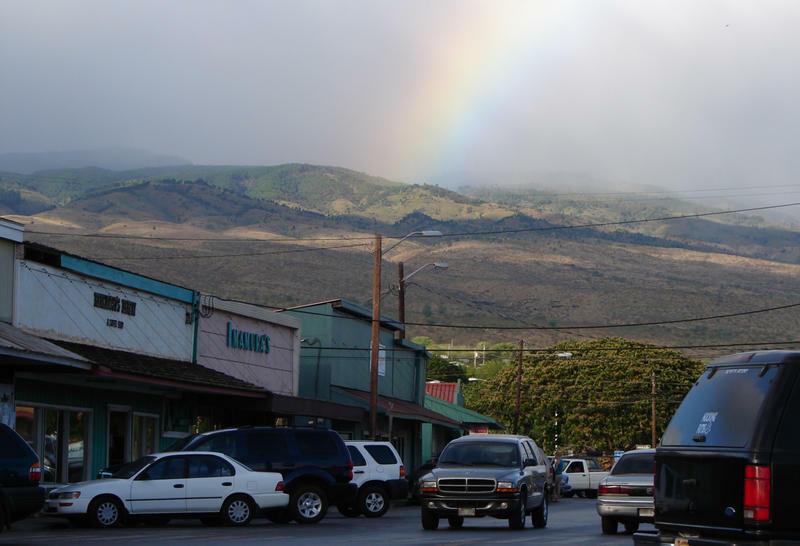 Since 1992, Molokaʻi has been designated a ground water management area. This designation allows the state to protect the amount of water withdrawn from certain aquifers. There are 10 such areas in the state. Water is held in public trust under the state Water Code. 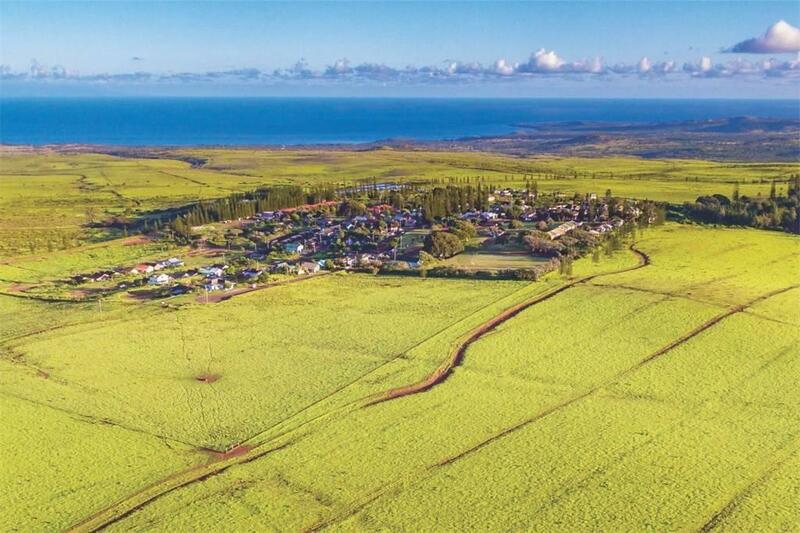 Moloka’i Ranch, which owns a third of the land on the island, began this permitting process in 1993. At first, they were granted the permit by the state Commission on Water Resource Management. 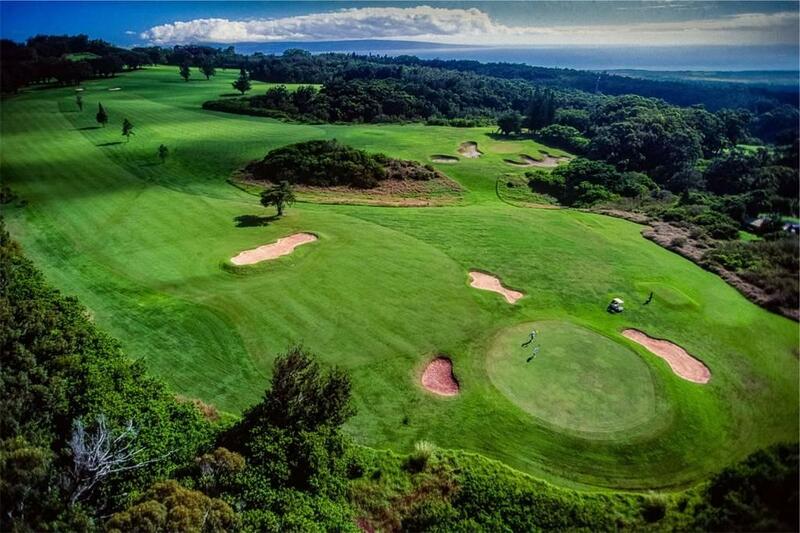 The Kaluako'i Golf Course on Moloka'i Ranch. Then in 2007 the Hawaiʻi Supreme Court overruled the Commission saying the Ranch didn’t adequately show the impact of proposed withdrawals on public trust purposes like traditional and customary rights. All parties then entered a contested case hearing on the matter. 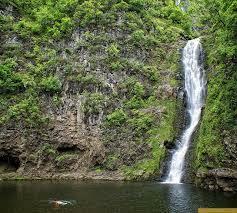 Waterfall in Halawa Valley on Moloka'i. “In 2008, Moloka’i Properties said we can’t continue in the contested case, we’re losing money year after year and we’re hopeful that we’ll have a new buyer that can continue the contested case,” says Camille Kalama, an attorney with the Native Hawaiian Legal Corporation representing two individual parties in the case. The state dismissed the contested case hearing citing these statements by Moloka’i Ranch, also known as Moloka’i Properties. “Basically what is before the court tomorrow is, ‘Did the Commission make a proper decision by dismissing that old contested case or not?’” says Kalama. While the court proceeding is narrowly focused on this procedural technicality, Sproat says the legal community will be watching the outcome of this case closely. “You know the Hawaiʻi Supreme Court has been a really important back stop continually holding the water commission to its fiduciary duties under the public trust, and permit applicants to the high bar that private commercial users of water must meet if they wanna use our public trust resources for their private commercial gain,” says Sproat. 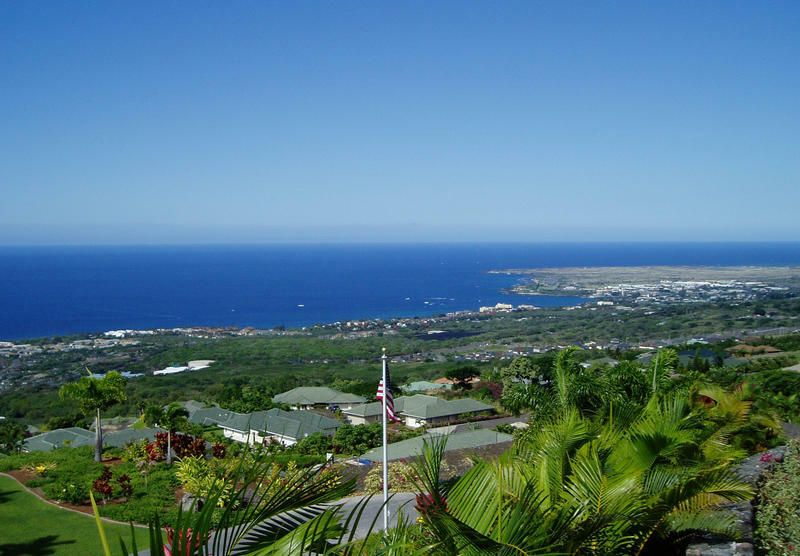 Hawai'i County water users in the North Kona District are being asked to cut back on their water use. HPR contributing reporter Sherry Bracken explains what's going on, and how long the restrictions will last.